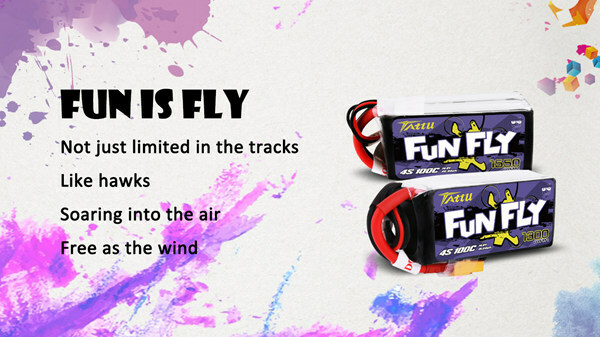 Fun is fly. From now on, get rid of the pressure and do not care about what others say, good or bad, positive or negative, just wear your flying devices and start your own freestyle. 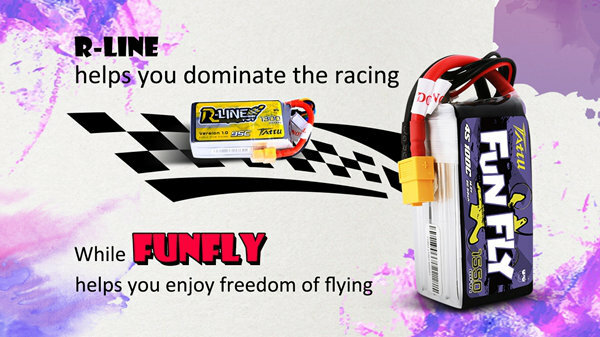 Tattu Funfly Series 1550mAh 4S 100C Lipo Battery Pack is specifically designed for FPV Quadcopters which require high discharge rates. Tattu battery pack has the ideal combination of power and weight. 100C discharge rate gives you instant power boost when flying.